The Science Writers and Communicators of Canada annual conference takes place at The Forks in downtown Winnipeg. The Forks, where the waters of the Red and Assiniboine Rivers meet before continuing north toward Hudson Bay, is a historic meeting place and link to Canada’s north. If Manitoba is Canada’s heart, then the north is Canada’s brain. The theme of this year’s conference is Heart & Head, with explorations into Indigenous knowledge, the health of our waters and the North. 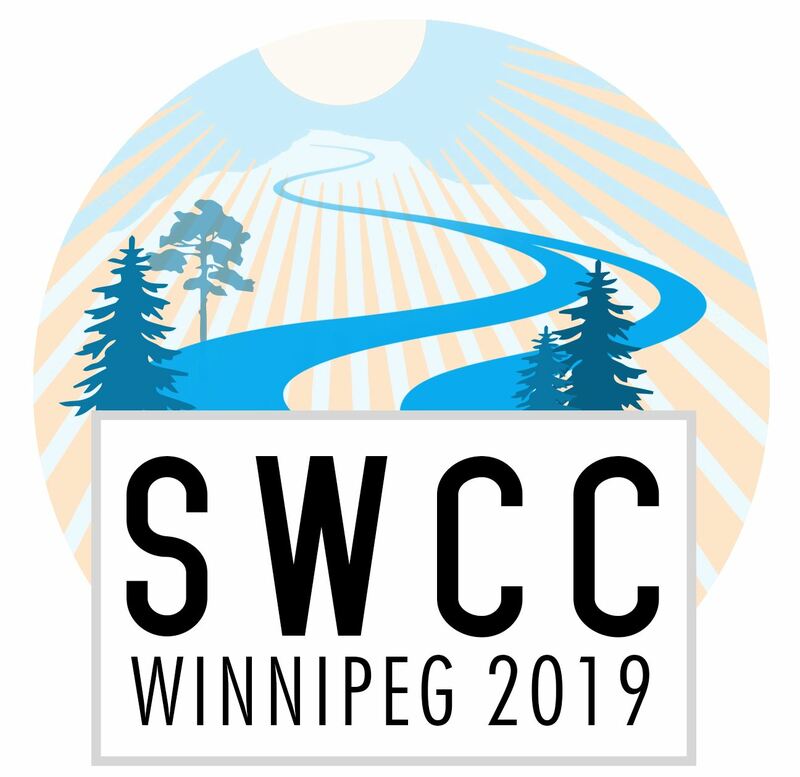 This is the first time in its 48 years that SWCC has held its conference in Winnipeg. And what a perfect year to visit Winnipeg again or for the first time: Lonely Planet put Manitoba on its Top 10 Best In Travel list for 2019. The Forks puts you in the centre of this great Prairie city and a short walk from the new Canadian Museum of Human Rights, where we’ll have our opening reception on May 23. The conference venue is the Manitoba Theatre for Young People’s main theatre, which is right beside the Inn at the Forks (our host hotel) and the bustling Forks Market. 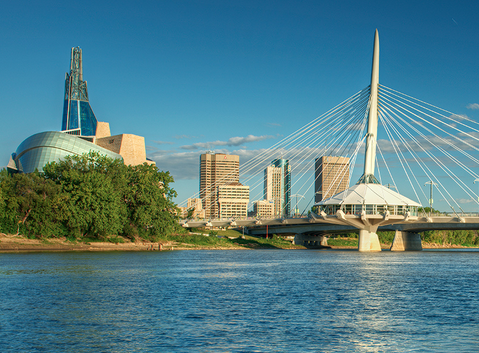 Located in the geographic centre of Canada, Winnipeg is easily accessible by air, land or rail. Winnipeg's major airport is the James Armstrong Richardson International Airport. Grounds transportation from the airport to The Forks includes car rentals, taxis and Winnipeg Transit. Winnipeg is an easy destination to get to. It is only one hour north of the U.S. border crossing at Pembina, North Dakota and sits on the HWY1 Trans-Canada Highway which provides direct connection to all major urban centres in the country. The Canadian, one of VIA Rail’s proudest services, travels across Canada and stops in Winnipeg. You can connect to ViaRail through Amtrak or your local carrier. Local Bus service is provided by Winnipeg Transit. You can buy bus passes, tickets or a Peggo card at most 7-Eleven and Shopper's Drug Mart location. The main Winnipeg cab companies are Unicity (204-925-3131) and Blueline (204-925-8887). Others include Dignity and Duffy's Taxi. There is no Uber or Lyft available. TappCar and ReRyde are two car and ride sharing providers available in Winnipeg. Please visit their sites or download the apps for more information. Several car rental companies are here - Hertz, Budget, Enterprise, Avis, etc. - with locations at the airport and downtown. Available accommodations in Winnipeg include hotels, bed & breakfasts and hostels. We have organized a special hotel rate at our host hotel from May 22 – 26, 2019 . To take advantage of these rates, call 1-877-377-4100 and provide them with the following information: Group # 400904 – Science Writers & Communicators. We have organized a special rate. To take advantage of these special rates, call 1-800-665-8088 and provide them with the following information: Group # 1149QM. Regardless of whether you decide to join one of our pre-conference tours or not, there is a lot to see and do in Winnipeg.